There’s nothing quite as exciting for the smartphone world as a new Samsung flagship launch. With each and every new handset, there is always a significant amount of speculation about what the brand will do next, as they are known for their innovation and originality. Samsung combines stunning design with impressively powerful technology, which has, over the years, earned them millions of loyal fans across the globe. 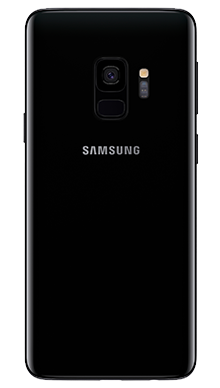 The Samsung Galaxy S9 Plus was released earlier this year and met with extremely positive reviews. It's the latest in a long line of successes for Samsung, and after getting our hands on the phone we can see precisely why. Although the S9 Plus looks remarkably similar to its predecessor, the brand hasn’t received too many complaints from buyers. 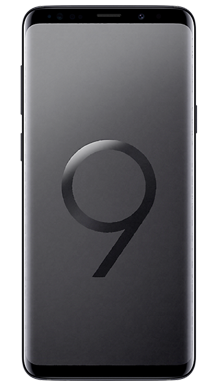 When they released the S8 series they were praised for designing one of the best-looking smartphones ever. The much-loved design, with its sleek rounded corners and a glossy finish, give the phone an incredibly premium feel that we’re used to seeing from Samsung. The infinity screen that is now recognised as a trademark Samsung feature covers nearly the entire front panel of the phone, and it makes the S9 Plus look expensive, which is only enhanced by the removal of any awkward bezels. The fingerprint scanner, which previously sat next to the camera lens, has been more conveniently positioned so that it sits on the rear of the handset below the camera; it makes using the S9 Plus significantly more comfortable. Adding to the comfort is the narrower body of the S9 Plus, so despite its 6.2-inch size, it still sits neatly in the user's hand. If style is your main concern when you’re on the hunt for a new smartphone, then you’ll appreciate that the S9 Plus comes in three attractive colours: Midnight Black, Coral Blue and Lilac Purple. The Lilac Purple, in particular, is especially striking for anyone who wants to turn heads. The S9 Plus doesn’t just look good, it’s incredibly durable too; it features an aluminium frame that encases Gorilla Glass 5. Despite its robustness, we would always suggest investing in a good quality protective case and a trusty screen protector to avoid any nasty accidents. Samsung has always received high praise for the quality of their screens. 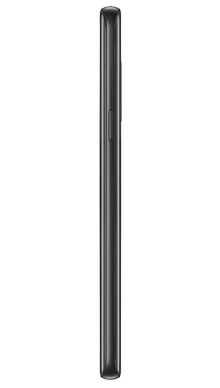 Even though you lose width on this handset, you still get a lot more screen area thanks to the taller size. Along with a super AMOLED display comes Quad HD+ technology, making it compatible with certain shows on all of your favourite television apps, such as Netflix, Amazon or Now TV. Quad HD + technology delivers definition of the highest quality that results in one of the best viewing experiences of any recently released smartphones. If HD isn’t really your thing, then you’ll be glad to know that the display on the Samsung Galaxy S9 Plus is completely customizable in the settings app. So if the phone initially feels a little too bright, or the contrast isn’t too your liking, then you can tweak it so that it is just right. Even though the Apple handsets receive a lot of praise for their audio quality, the one significant advantage that the Samsung Galaxy S9 Plus has over its competitor is that it supports hi-resolution music and DSD files, making it the ideal handset for anyone with a real enthusiasm for music. With Dolby Atmos technology, the Samsung Galaxy S9 Plus delivers an extremely high standard of audio, with sound coming across rich, clear and well-balanced. While many manufacturers are opting to get rid of the headphone jack from their high-end handsets, the Samsung Galaxy S9 Plus retains it, making it a hit for any traditionalists who don’t want to invest in a pair of wireless Bluetooth headphones in order to listen to their music. With a marketing campaign that largely focused on the camera throughout its entire marketing campaign, users won’t be surprised to learn that the camera setup on this phone truly is the star of the show. 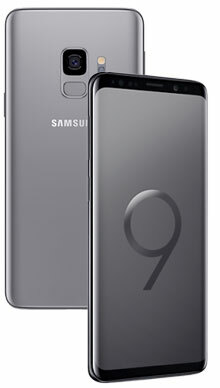 On the rear of the S9 Plus, you’ll find a dual 12MP rear camera which, although on paper is exactly the same as previous Samsung handsets, has one major advantage over its predecessors; the Galaxy S9 Plus comes with a dual aperture lens that moves and adapts like the human eye to deliver fantastic photos in any lighting conditions. If you’re a budding smartphone photographer you need to give the S9 Plus a try, the standard of photos that it takes are incredible, even in low lighting. Round the front is an equally impressive 8MP front-facing camera that delivers the fantastic selfies that seasoned Samsung fans will be used to, with different features to further enhance your shots. When it comes to video recording, the S9 Plus is capable of 4K shooting which is further enhanced with Super Slo-Mo ability for incredibly well defined slow motion shots. Beyond that, you can add music to your videos and even turn them into fun GIFs. The fun features of the Samsung Galaxy S9 Plus stretch beyond the camera. The handset gives users the ability to turn themselves into an interactive emoji through the camera lens, which you can then use in messages to your friends. While we appreciate that it's not necessarily a smartphone necessity, it certainly is entertaining. The Samsung Galaxy S9 Plus also comes with the brands very own AI program to help users with their organisation and other everyday tasks. Bixby has had a lot of work over the years and we have to say that it performs significantly better than it used to. With a powerful camera and some extra entertainment apps, you’d be right in thinking that the Samsung S9 Plus needs a powerful processor to keep it going. Thankfully its equipped with an extremely fast Exynos 9810 processor that delivers a smooth and speedy smartphone experience. There’s 6GB of Ram on board the S9 Plus, and with an additional 128GB of internal storage, there’s plenty of room to store all of your favourite apps, photos and files. Samsung has consistently impressed when it comes to battery life on their handsets, and the S9 Plus should be no exception; it features a powerful 3500mAh battery cell that is compatible with fast an wireless charging, making powering up even more convenient. The Samsung Galaxy S9 Plus is an extremely impressive smartphone that won’t fail to impress new users. The design is absolutely stunning and retains the beautiful design that we’re used to seeing from Samsung, which radiates class and sophistication. The display is one of the best we’ve ever seen, with stunningly vivid colours and a well-balanced contrast. It completely adjustable to suit the user's needs. The audio experience perfectly complements the viewing experience, and the support for hi-res music gives Samsung a clear advantage over other smartphone brands. The camera setup makes the Samsung S9 Plus, it delivers incredibly great shots that will enable any user to take their photography skills to the next level. The powerful Exynos processor gives an impressive smartphone experience and the large battery benefits from convenient charging options such as Quick Charge and wireless. Metrofone is always on the hunt for the very latest smartphone deals to ensure that our customers always get the best price. We’re proud to bring some of the very best Samsung Galaxy S9 Plus deals with some great added extras. Not only that, but you can get free next day delivery, so you could have your brand new Samsung Galaxy S9 Plus the very next day. 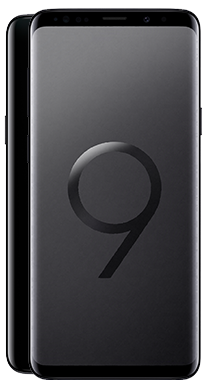 If you’re looking for a fantastic Samsung Galaxy S9 Plus deal, or if you’d just like to get some more information on the Samsung Galaxy S9 Plus, why not contact us on 0333 900 1144 and our UK based customer service team will be on hand to guide you to the perfect deal for you.